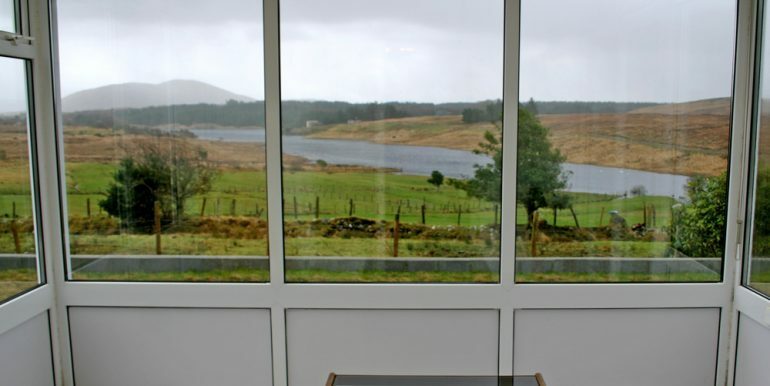 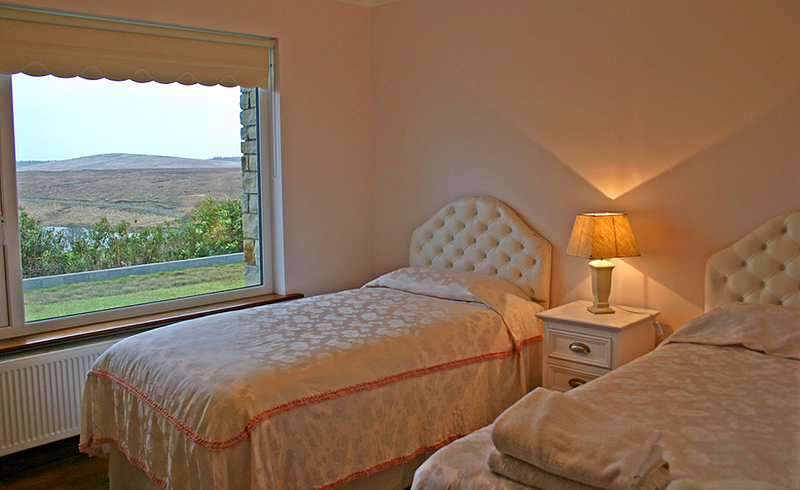 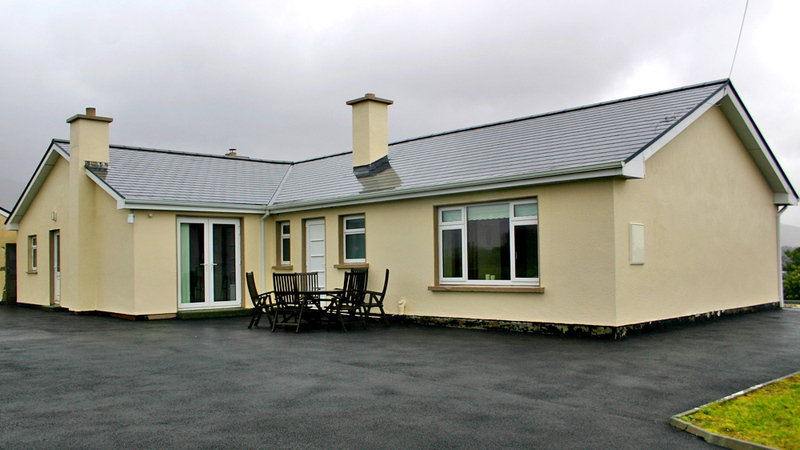 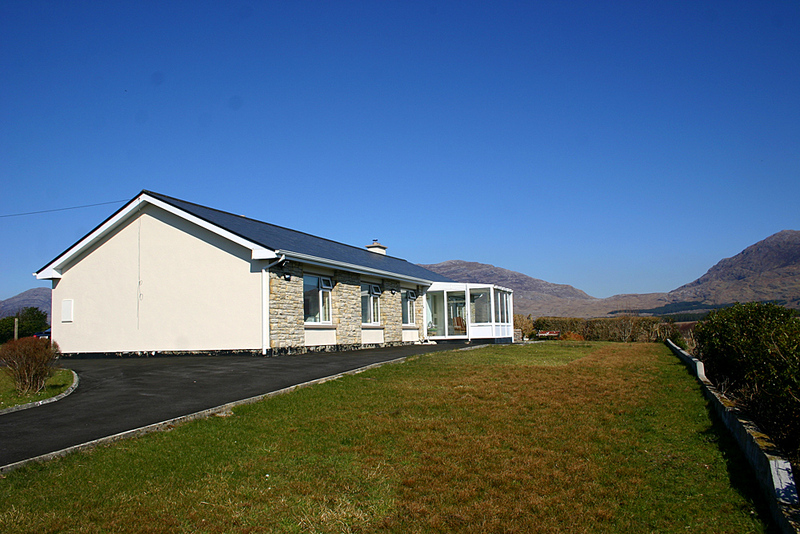 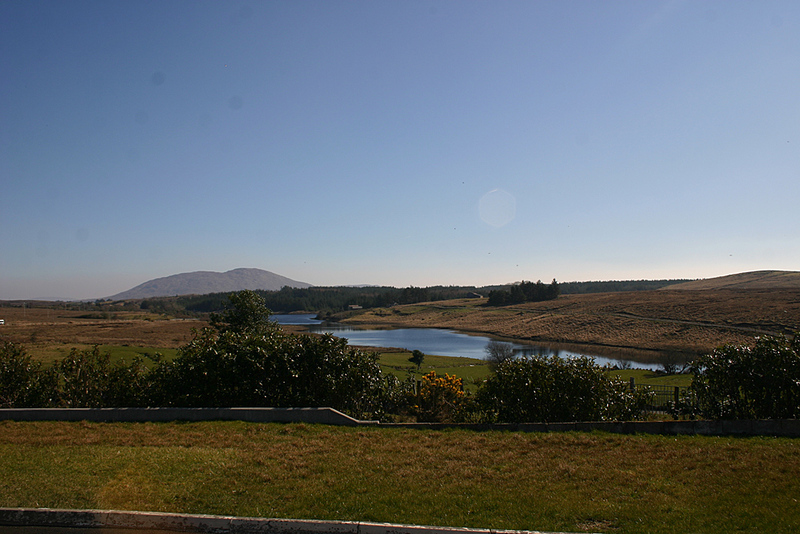 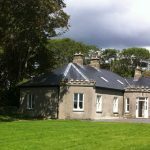 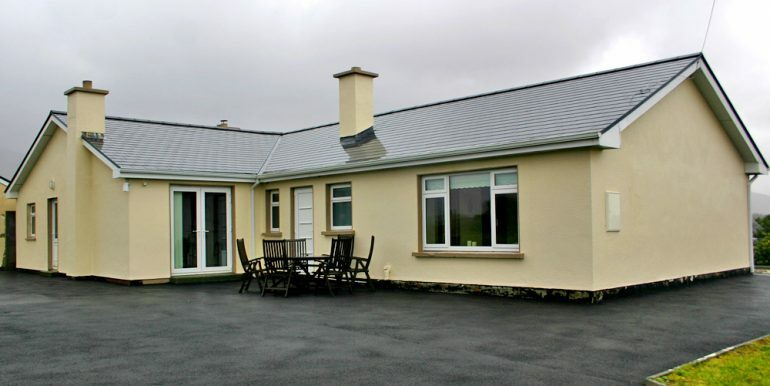 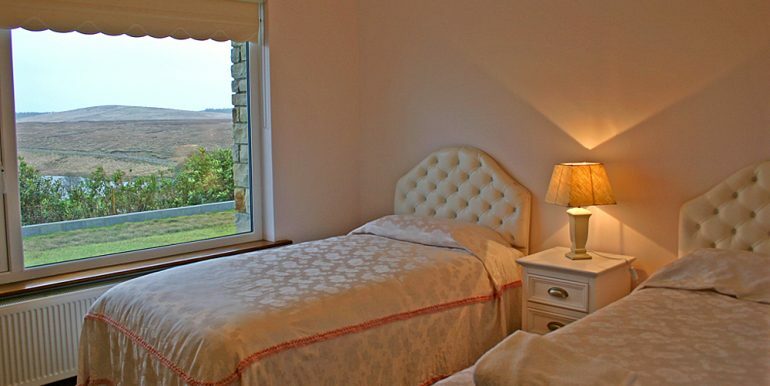 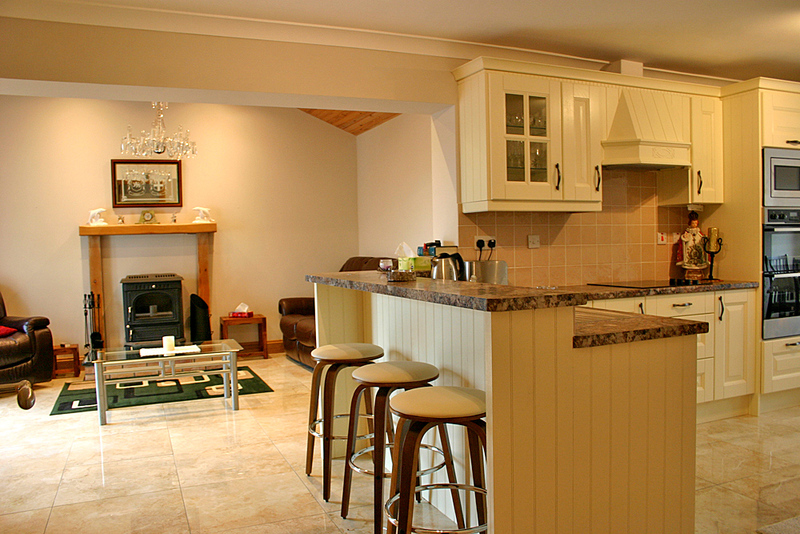 The House: This is a large house in a perfect location, central to all of Connemara with wonderful lake and mountain views. 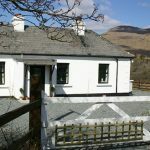 It would appeal to many because of its proximity to Galway and to Clifden, the capital of Connemara. 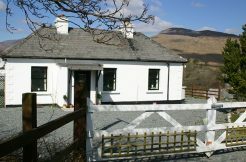 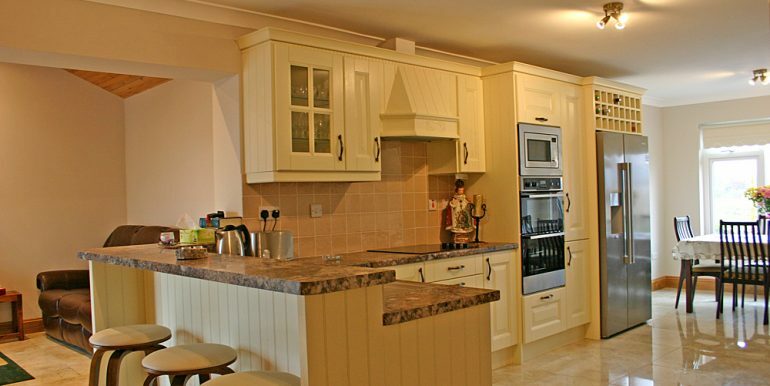 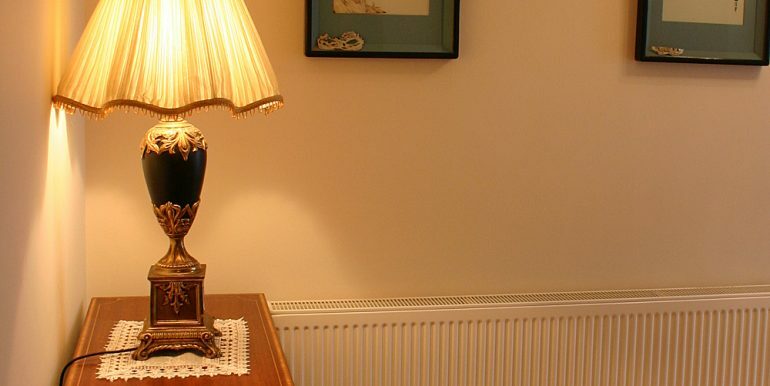 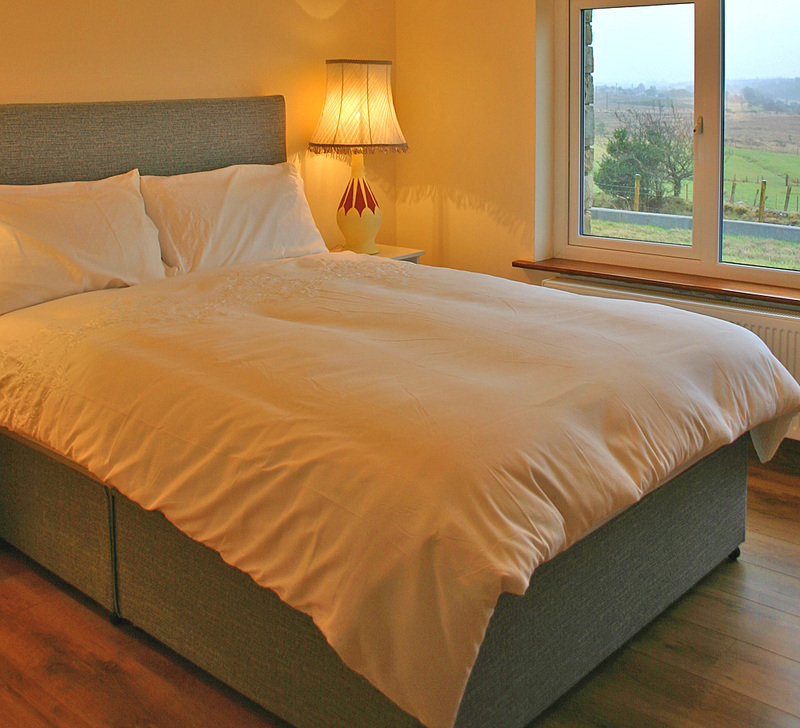 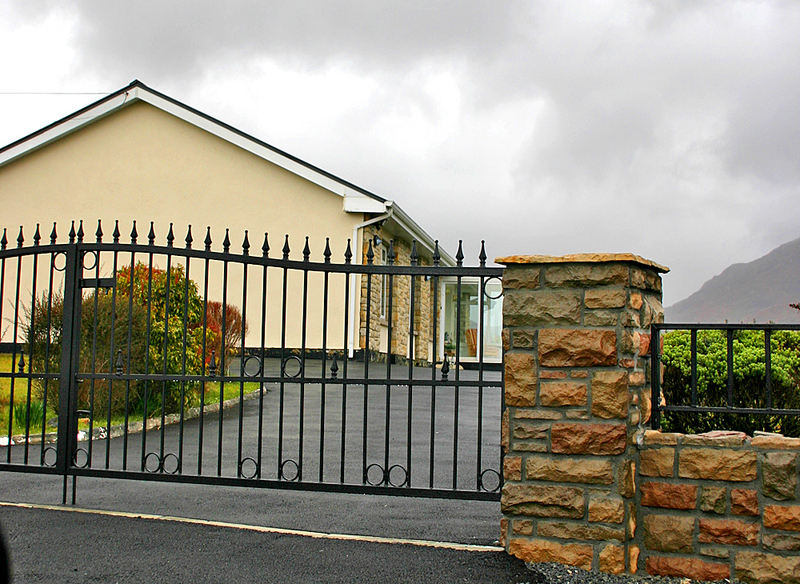 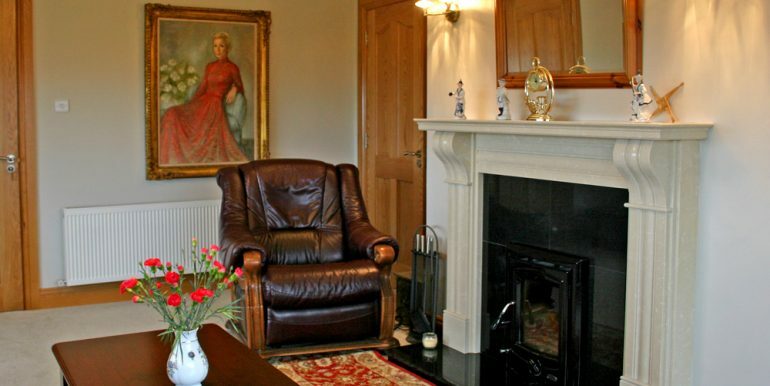 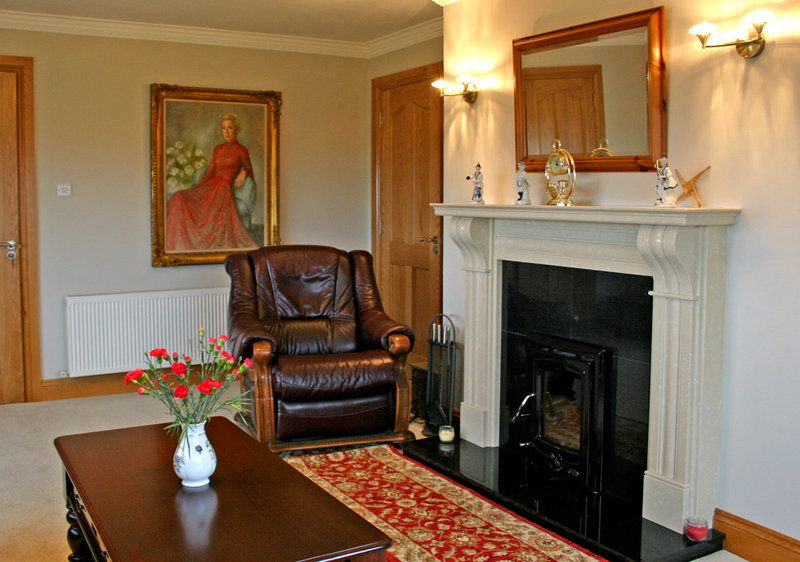 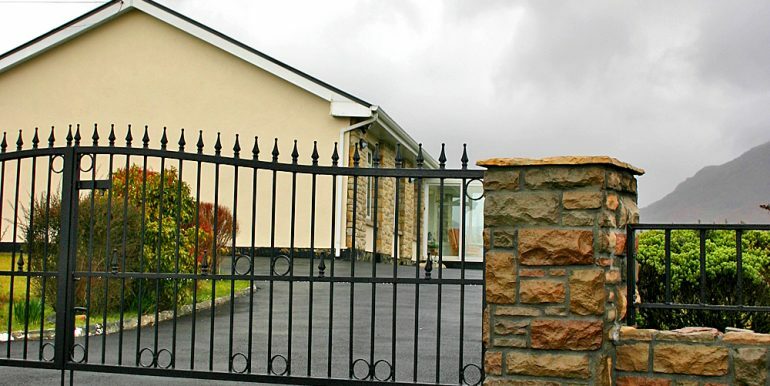 The house is ideal for groups of eight and for families due to the safety of its enclosed garden. 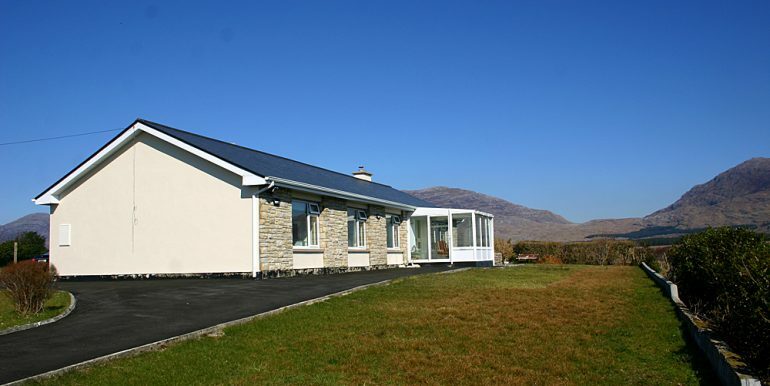 It is perfect if you wish to use as a base for touring, or visiting the Aran Islands and it is in close proximity to The Western Way, the Maam Turk Mountains and the Twelve Bens for Hill Walkers. 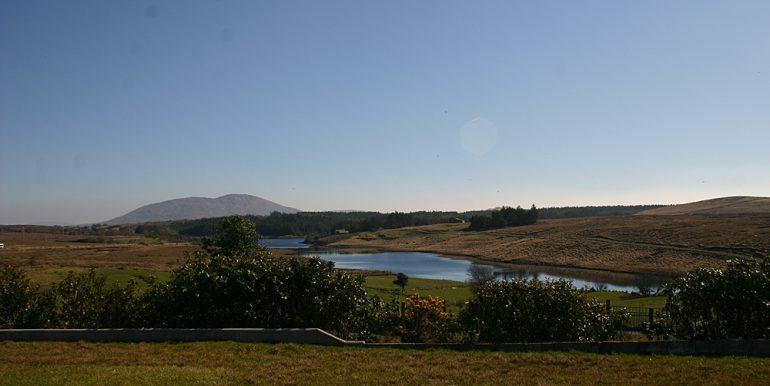 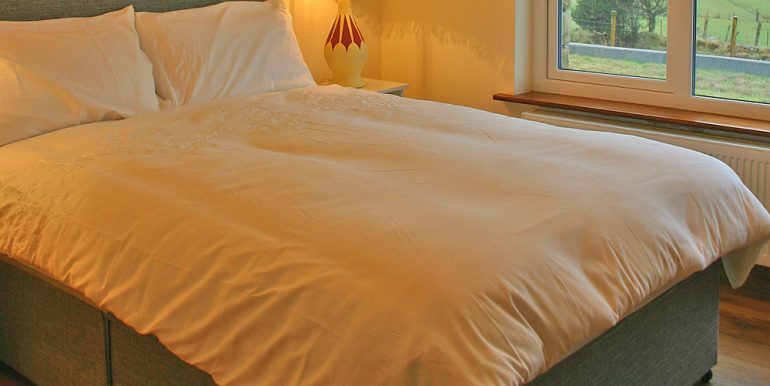 Nearby local amenities include mountain climbing, hill walking, golfing, horse-riding, fishing, sailing, scuba-diving, spectacular beaches and the Kilary Adventure Centre and cycling. 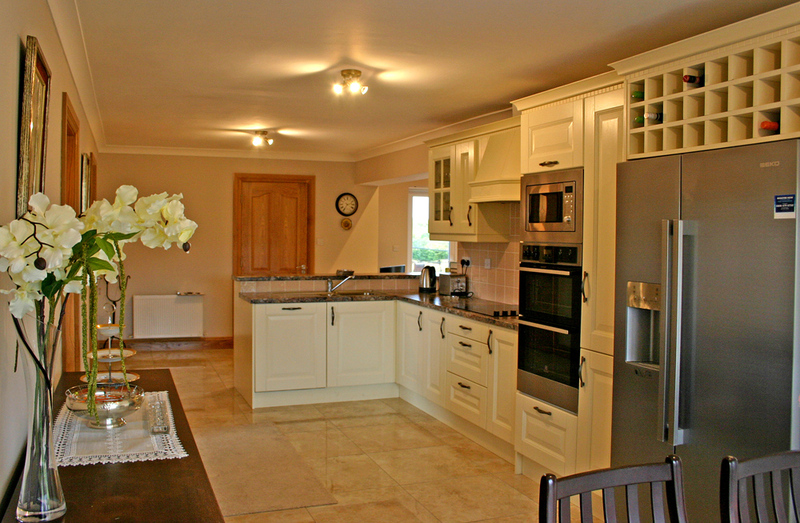 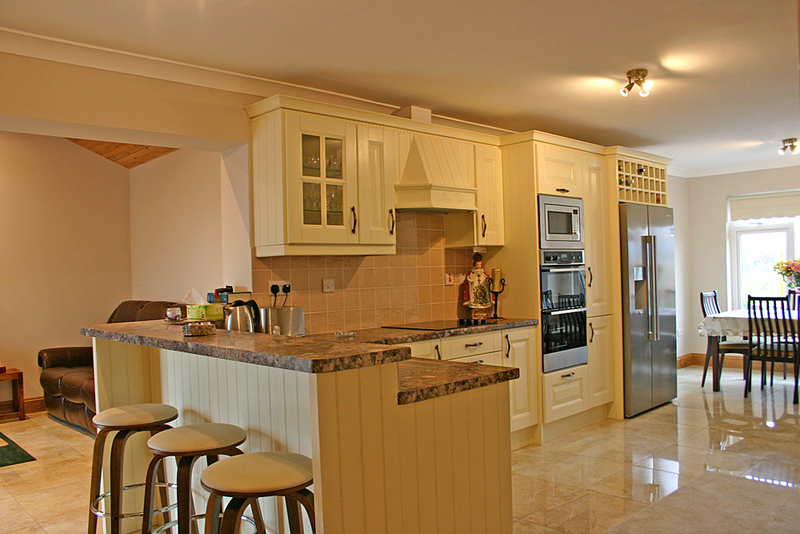 Inside: As you walk in you enter in to an open plan sitting area which opens up in to the kitchen and dining area. 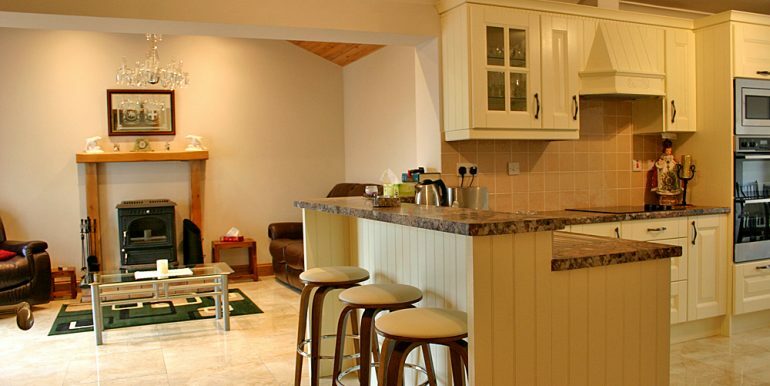 The sitting area has stove, couch and chair and off this is a utility room with kitchen units and washing machine and dryer. 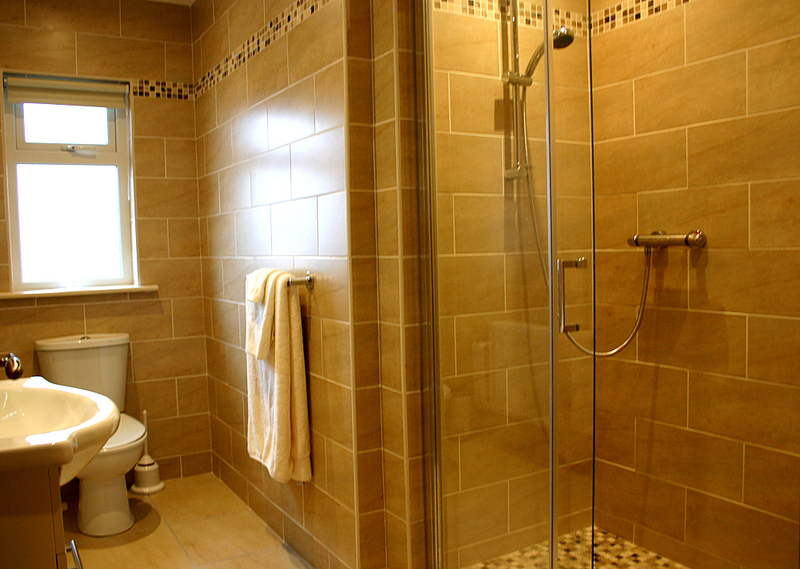 Off the utility room is a small bathroom with toilet and sink. 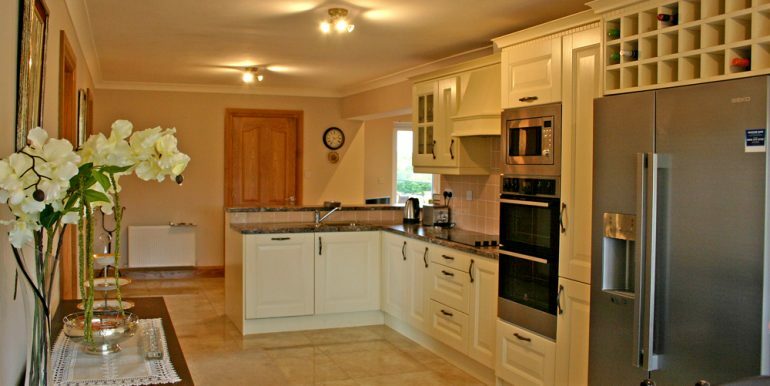 Back in to an open plan area where kitchen is well equipped with all mod cons, an American style fridge that makes ice, and big creamy floor tiles. 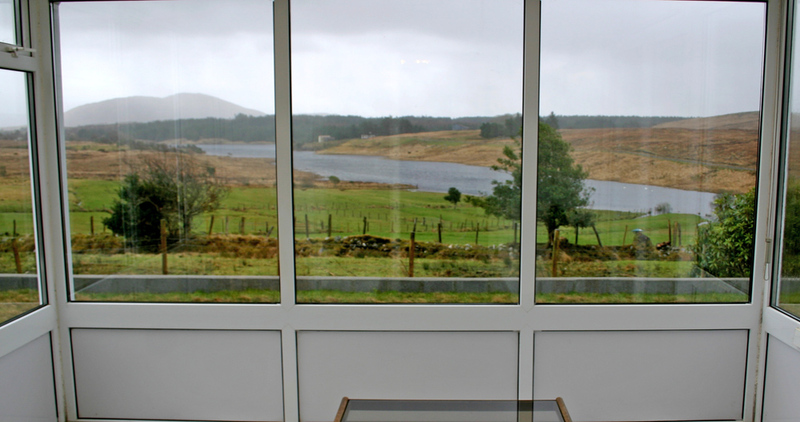 Off this area are two doors, one leads in to a sitting room with a stove and big windows with lake and mountain views. 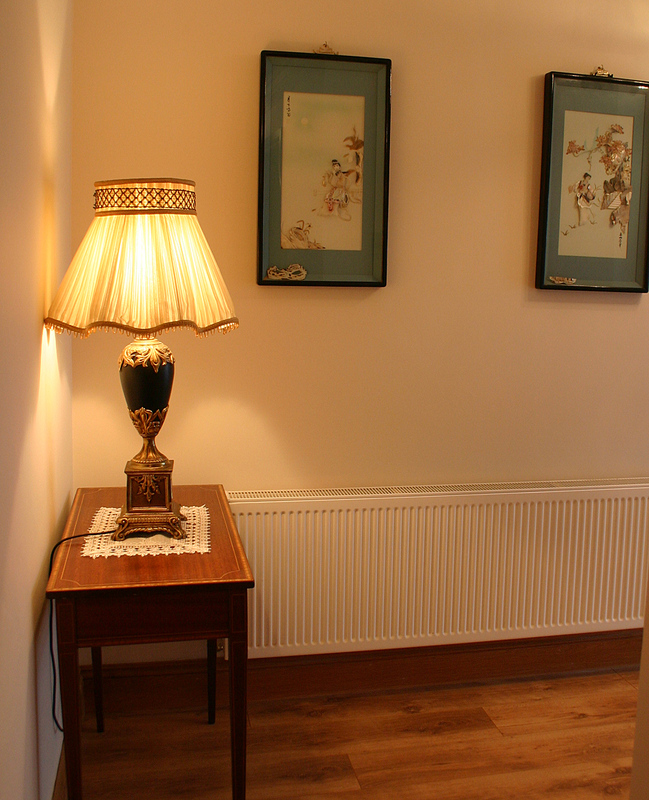 The other door leads in to a hallway and off this hallway is a conservatory with great lake views. 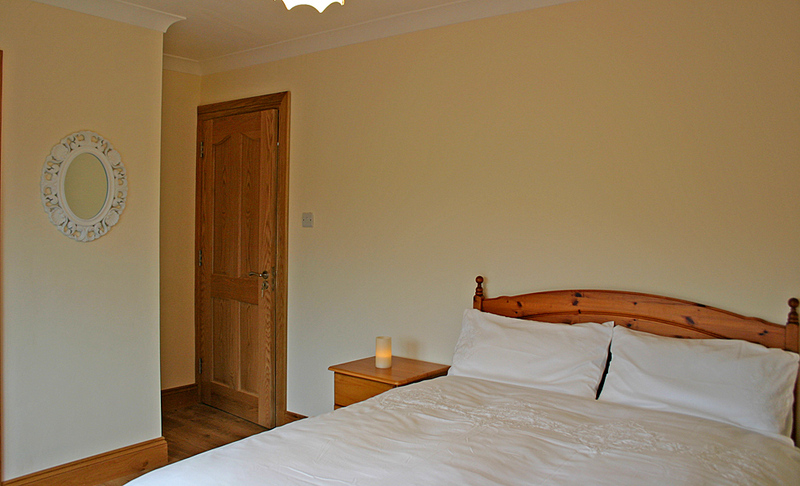 Down the hallway there is a twin room with wooden floors, a fitted wardrobe and a double bedroom with a wooden floor. 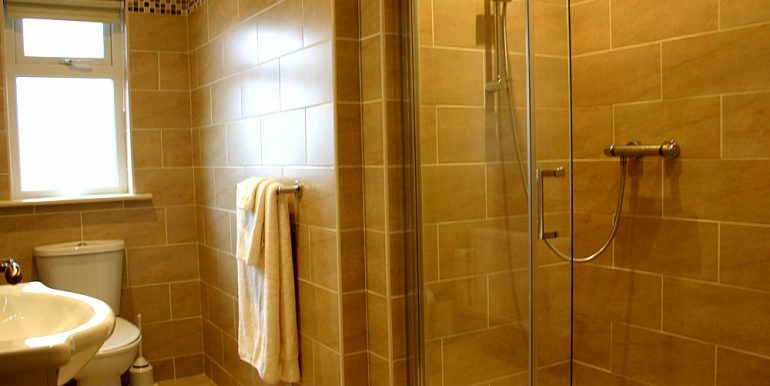 On your right hand side are two bathrooms finished to very high standard.One with bath, sink and toilet and one with shower, sink and toilet. 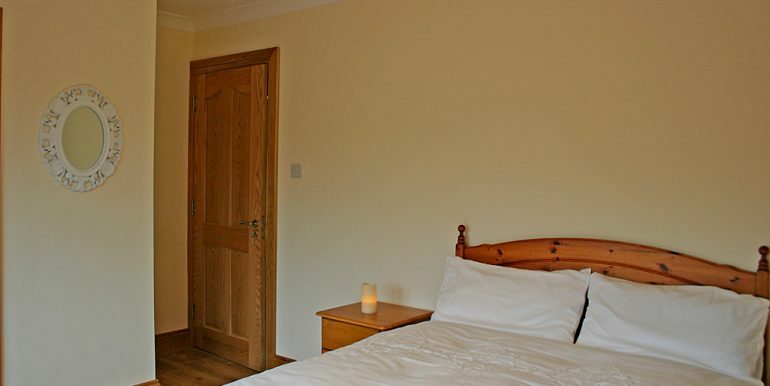 There are two further double bedrooms, one of which one is ensuite.Outside is a grand two gated entrance with a tarmac drive and a well maintained garden which is totally enclosed.